Thanks to those on the M32 group who posted this. Next Next post: Just over the road lurks another landmark in distress! 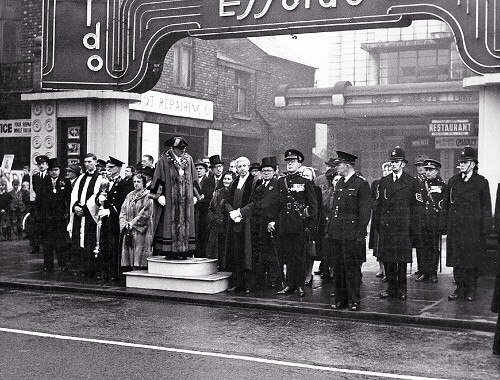 What a gem of a photograph for Remembrance Sunday,also that distinctive Essoldo font style,I remember the black & white title before the trailers: This Essoldo Theatre presents. Happy Days as a former Essoldo projectionist.